A fisherman required help from the U.S. Coast Guard when he sustained a severe hand laceration in a New Bedford fishing accident. According to the Coast Guard, the New Bedford-based fishing boat was brought to shore when it became obvious the fisherman required immediate medical attention. 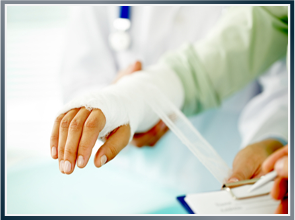 Are Hand Injuries Common in Fishing Accidents? What Do I Do If I’ve Sustained a Hand Injury at Sea? Unfortunately, commercial fishing has a bad reputation for being a dangerous industry. However, that does not mean that ship owners and operators do not have a responsibility to protect fishermen from maritime accidents. That said, all machinery must be regularly inspected and maintained. All workers must receive the proper training and the vessel must be seaworthy. If, for whatever reason, this is not the case and a worker has sustained an injury while working at sea, that worker is protected by maritime law. Maritime law is very different from the laws that apply to workers who are injured on land. It is complex and requires an in-depth understanding. The Jones Act protects maritime workers who have sustained injuries at sea. It provides compensation for medical bills and lost wages. It allows workers to heal. If a worker loses his or her life at sea, it helps families of the worker move forward. If you have sustained an injury in a maritime accident, contact a maritime attorney immediately to understand your rights in the situation. Latti & Anderson LLP is a maritime injury law firm that fights for those injured at sea. We have offices in New Bedford and Boston, Massachusetts, but we also accept cases from across the U.S. Previous What are the Most Common Causes of Accidents On Board Ships? Next What Makes a Vessel Unseaworthy?